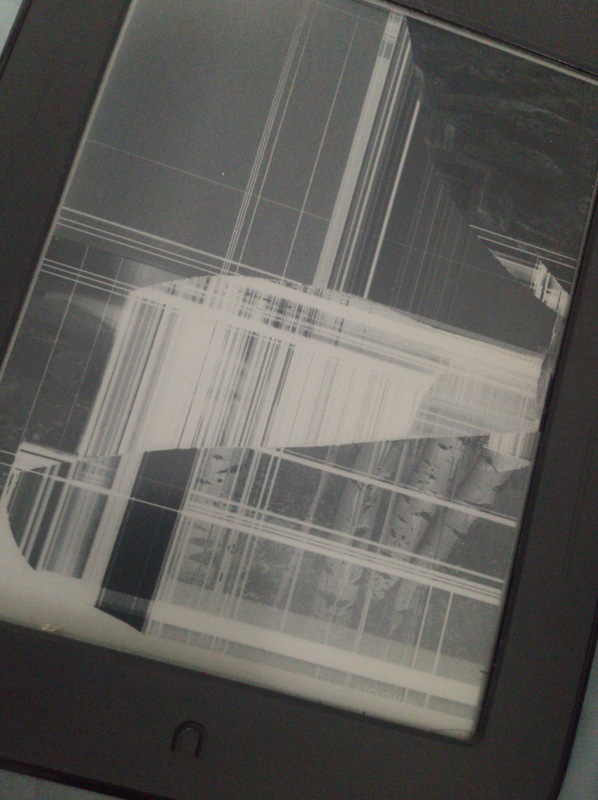 I pulled my e-book out of my bag yesterday and realised it was broken! I have seen many arguments for and against e-books but let me just say that I loved mine dearly. Firstly, I got it for free! Which perhaps contributed to its early death as I never bothered to buy a case for it, foolishly thinking its tough ink display is capable of resisting the pressures of life at college. Another reason was because it was so convenient! Instead of carrying around four or five books on journeys which I used to do as a child, I could now simply take the nifty little things with me. I would agree with the people who claim that you can’t beat an actual physical book but sometimes you have to admit that the e-book can be more convenient. So now I have to move on and I hear e-book haters cry out happily as they crow about how this proves normal books are far better as they can be sat upon, kicked, thrown, used to whack someone and still be readable. Perhaps so, but then again we don’t hold on to our single-use telephones and shun the mobiles do we? Don’t get me wrong though, I love the traditional book even more than the e-book but people do need to accept the technological advancement that has taken place as both can peacefully co-exist together. Despite having an e-book I would still visit the library and I am sure many others do the same. Now however, I have to consider buying a new e-book which may take a while as a laptop needs to be bought as well. But of course it had a nice life, it lived with me after all.. Terribly sure thank you very much! Sorry – a huge loss! Thank you! Oh yes terrible, how shall I cope without my digital collection of James Patterson! You might sleep better without them. A few of his gave me nightmares……! Oh yes they are all gloriously grisly! This happened to me awhile back; it’s not fun! Hopefully you can get a replacement soon. So sorry to read about your tech woes – I’m always nervous one day my laptop will die. My darling giant husband purchased an external hard drive to ease my worry. It helps. Hope you get your tech support worked out. I feel the same way about my phone- always worrying the next fall will be its last. I can see the convenience for multiple books if you need to carry that many around to many different places. I personally don’t like e-books, nooks, kindles, etc. I just can’t! I love my regular books and I hate what the e-book world has done to the bookstores. Oh yes e-books have affected bookstores but the reason why they have grown in popularity is simply because people like the convenience of them. I guess with time, bookstores will have to scale down even if people will still read regular books. I can see e-books being introduced more widely to schools in the future. I still don’t like them 😛 haha. I’m old school that way. I will always like my books. I was kind of disgusted going to Barnes and Noble the other day and the first thing inside the doors is ebook stuff, DVDs, etc. made my skin crawl. Haha okay okay! 😛 I think the battle between books and e-books is even for now or still in favour of regular books but I am sure the balance will change soon. I’m not really thrilled about that either but I just think that is how it is going to be sadly! ebook vs real book has been a never ending battle for me! While I love the convenience of an ebook, I always find myself running to the library insearch of an actual book. ::dork moment:: my favorite place to go is actually Barnes & Nobles lol so “real” books will always have a special place. P.s. Being a college student myself I totally feel your pain on not being able to read for fun, as we are always being FORCED to read for class lol. Haha 😀 Of course, nothing beats the library when it comes to research. Mine did that too…only after sitting on a shelf for a week and then being carefully packed in a suitcase. I was gutted because I couldn’t take it on holiday or travelling and was sad because I only managed to read one book on it. Luckily I only one book on it so there wasn’t a huge loss of literature and money to be had. Nothing beats a paper-back but I would like it if it would do a Frankenstein’s Monster and spark back to life (it doesn’t) so that I can store those heavy and space consuming text-books on them without cluttering up the small amount of shelf-space I have left. Oh wow your one had a very short life! Haha if only e-books and mobile phones actually could. Nope the potential hernias are still happening! P.S. Sorry to hear about your ebook! !